Why do I have this false notion that my DA-IICT days are over? ?3 years over, but don't know why I feel that I've to pack my bags very soon. Probably that's why Nostalgia strikes me so that I remember my fresher days in college often. When I came to Ahmedabad for the first time(June 22'2002), I stayed in Hotel Marvel, Relief Road. I went to Relief Road today with my friend Abhijeet(don't know?? ok he's Babu) for shopping. Relief Road has always been a warm, welcoming and friendly place for me, so I dedicate this whole post to Relief Road. By definition Relief Road means a road which is opened specifically to relieve the traffic in the concerned part of city. Relief Road was my first impression of this part of country which really amazed me. This was my origin in Ahmedabad and I used to find my ways w.r.t Relief Road. I like Relief Road because this was the place where I did my first few shoppings alone, first place where I learnt to bargain(an art for life, which I'm trying to develop), place where I get damn good quality products at reasonably cheap rates and have never been cheated and last but not least as as an emblem of Ahmedabad. For those who have never been to Ahmedabad, Relief Road is a very busy hustling bustling jostling 1.5 km long road(paved from Ahmedabad Railway Station to Lal Darwaja) with clothes, garment, leather goods, book shops on both sides in bottleneck congestion(quite resemblance with Chandni Chowk, Delhi). The traffic mainly kerosene driven highly polluting auto-rickshaws and two-wheelers travel in jig-jag manner putting pedestrians at a high risk, as I always suffer. All over Relief Road you'll see hawkers and vendors shouting at top of their lungs, agents trying to grip your neck(or hand, or whatever they catch) and drive you to their shops, customers trying to bargain, traffic police failing miserably etc. etc. In one sentence I will describe Relief Road as a street of complete chaos and mayhem with healthy business flourishing between shrewd adroit shopowners and expert bargaining customers in a miasma of vehicular emission, that's how I paint the picture in my mind on this blog. Talking about todays shopping it was fun.I was answering thoughtfully to all of Abhijeet's inane queries. (Like looking down from Nehru Bridge he asked me which river is this? Two times he was almost crushed while crossing the road). And the best thing which could ever happen, it rained today and I got wet happily. My only concern was my mobile but after putting it in a plastic bag borrowed from some hawker, I jumped out in rain. Despite the fact that heavy rains lashed the market, Relief Road was as chaotic as ever.That's the spirit, and this is an example of management in brawl. In the end I would like to say one thing to Relief Road, What a Relief you have been!! Did u get anythin edible bak?? u lucky dog!! it rained there!! its like imagining heaven when i think of rain. and u got to jump about too!! i could trade my soul for a chance like that! dil chahta hai.. kabhi na beete...!! 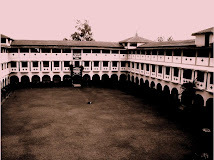 wat days man..college is real fun..evn school ws no less..but nw we knw these days will never cm bk..so mk d most outa dem. evn we r into our last yr of coll.n we jes cant recollect how these 2 yrs passed..lagta hai kal ki hi baat thi..
@raj-no be, i ate it then n there only! @jayant-kanhi dhoop, kanhi baarish!life's unfair! @mirage-u r right!try 2 enjoy wherever u r just like i try... and i do treasure my memories.thx. @milo-thanx 4 droppin by. r u somehow related to mirage? 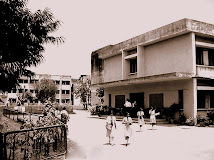 ?Nostalgia bites again..school days r just awesome! even college cant match the level of fun and yeah v will always remain funloving! i blogrolled ya. why does college ever end?...i miss those days..
@shaan-couldnt find...didnt search! u r getting lost in oblivion these days?? @divya- All good things should come to an end. Life is about moving on. hey yeah...*m jealous*...u r so lucky....rainin whiel u r shopping!!!...cool!!!!! n U DIDNT GET ANYTHING FOR ME!!!!!???!!!! grr! !...hey but now it rained it delhi...so now u just see..d.delhi s rain s better n more den ur gujarat!! !he he! !